OUR MISSION: TO MAKE EVERY STUDENT'S POTENTIAL A REALITY BY ENGAGING AND EMPOWERING OUR FAMILIES, EDUCATORS AND COMMUNITY TO ADVOCATE FOR ALL STUDENTS. There was a final meeting for students on Wednesday, April 24th during ACE. They will receive chaperone names and bus numbers. Due to a problem with the online payment system, there are many families that have not made the final payment for DC. If you did not make final payment, that system should be updated so that you can now make final payment. If you are unsure, please let us know. The departure time will be at 6am on Thursday, May 2nd. Students need to be here at 5:30am. Now that there is no school on May 1st, students will have plenty of time to pack and be ready to go! CMS Superintendent Clayton Wilcox has designated Wednesday, May 1st as an optional teacher workday for Charlotte-Mecklenburg Schools. Superintendent Wilcox has waived attendance requirements on May 1st for all students. No make-up day is needed or will be scheduled. These decisions were made in collaboration with the Charlotte-Mecklenburg Board of Education. Audition! Carmel Middle School's talent show is open to all! Musicians, singers, dancers, rappers, actors, comedians, magicians, etc! Come audition in the Chorus room on May 6th, 7th, or 8th during your grade level elective ACE time. The talent show will be June 5th, at 5pm in the Cafetorium. Oh, we know you just can't wait to see The Lion King Jr! Carmel's theater production will be on May 15-17th @ 7pm! Ticket will be sold at the door at the Cafetorium!! Tickets are $10/Adult and $5/Student Save the date to come experience a fun evening with some of our favorite characters! Carmel Middle School is presenting The Lion King Jr. this May 15-17th! Can you help build the set? We are looking for parent volunteers available to help come work on some painting, crafting, and building our set! We will be meeting in Carmel's cafetorium on Saturday, April 27th from 10am-2pm. Those available to help or have any questions, please email carmel.musicalinfo@gmail.com or call Mrs Davis-Hall, Mrs Barnhill, or Mrs Hamer during school hours. We are currently in the production process for the Lion King Jr. and wanted to reach out to our community for support with some supplies we need. If you have any extra newspaper and/or muslin fabric that you are willing to donate, please send to Mrs Hamer (Art) or Mrs Davis-Hall (Drama). Thank you all for helping any way you can! Wednesday - Friday, May 15th - 17th :: Musical Performance "Lion King Junior"
The Carmel Middle School Orchestra will be hosting an instrument selection night for the rising 6th graders on May 13th, 2019 from 5pm-7pm. Please join us for the final PTSA General Membership Meeting of the 2019-2020 school year on Thursday, May 23rd at 7pm in the Gymnasium just before the Orchestra Concert. OBX Parents, if your child no longer wants to go, or won't be able to go, please reach out to Mr. Mahoney (adam.mahoney@cms.k12.nc.us) as soon as possible. We have several students on the wait list who are wanting to go. There are fewer than 100 yearbooks left available for purchase, and over 600 students who haven't ordered one yet! Don't miss your chance for your child to have the only memory book of their year at Carmel. The yearbook is 96 full-color pages, with every Carmel club, sport, and event included. The yearbook staff worked hard to include more than 3,000 photos in the book, and we think it's the best yearbook Carmel has seen yet! Just go to Josten Yearbooks and order today! If you have any questions about ordering a yearbook, please email Mr. Mahoney at adam.mahoney@cms.k12.nc.us. Carmel families are invited to see, The Music Man, presented by Myers Park High School theatre. The show is suitable for the entire family. Come and look for some Cougar alumni who lead in the show! The Music Man runs Thursday and Friday, April 25th and 26th, at 7pm, and Saturday, April 27th, at 2pm and 7pm. Teachers and staff will receive special pricing at $10 a ticket. Funds earned from concessions go directly to supporting athletes at Carmel. We are also looking for energetic volunteers to join Carmel Athletic Booster planning committee for next year! Please reach out to Joanna Purgason or Carrie Hanson. Just the words “middle school” can bring stress to the parents of young tweens, as they navigate this new social scene and developmental stage. Michelle Icard can help! Michelle is a nationally-recognized parenting resource, author and speaker on all things middle school. She is the creator of the Athena’s Path and Hero’s Pursuit camps that Carmel will host this summer and Right in the Middle, a mother/daughter workshop. 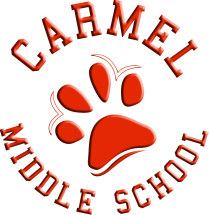 On April 30th at 9:30am Carmel will host a one hour session with Michelle in the media center for parents to ask questions and discuss any concerns they might have about the best way to prepare their children for the middle school social scene. This session is free of charge, but we ask that parents register if possible to give us an idea of how many to expect. Registration is not required for attendance. Feel free to bring any interested friends and neighbors. Hope to see you there! The School Leadership Team is searching for parents interested in taking an active role in directing our school for the 2019-2020 school year. Interested parents should download the following application and turn it in no later than May 10th. If you have any questions, please contact Alison Gugenheim, the current SLT chair. If you shop on Amazon now, switch to https://smile.amazon.com and choose PTA North ​Carolina Congress Carmel Middle High School PTSA. They will send our school a check for 0.5% of purchases! Shop for Carmel! Box Tops = CASH for our School! Help our school earn cash this school year! Please collect your Box Tops in zip lock bags and place the bags in the collection box at the Welcome desk. Come out and join us at The Rusty Onion in Carmel Commons shopping center any day, any time and support this local business! You must write Carmel Middle School on your receipt and The Rusty Onion will donate a portion of your purchase to our school! Don't forget to visit The Rusty Onion all summer long to continue to help your school!!! If you have a future MPHS student, spirit wear is available from the student store which is open every Wednesday until Memorial Day. We have t-shirts, sweatshirts, car magnets, and more! We are located in the cafeteria and open during all lunches, from 10:30am - 12:30pm. We accept credit/debit and cash, no checks. Help the South Park Youth Association build an indoor practice facility as part of our celebration of South Park Youth's 50th year with Coach Ron Rivera! Come join the celebration on Tuesday, May 21st at Carmel Country Club with a special appearance by Carolina Panthers coach Ron Rivera. All proceeds will go to our building campaign for our indoor practice facility. Heavy hors d'ouvres, cash bar and silent auction! Remarks by Coach Rivera.